California Governor Gavin Newsom released his proposal for the 2019-2020 State Budget, which apportions state funding to all public agencies and departments, earlier this month. The governor’s plan includes increases in funding for higher education and the University of California, addressing everything from legal fees for undocumented students to tuition freezes at the UC level. While the UC system is currently set to receive $393 million — $240 million in ongoing funds and $153 million to distribute among a variety of other causes — this may not be the final amount as the budget must still be negotiated and approved by the state legislature. Of the $153 million for other pressing needs that the UC system would receive, $138 million would be in one-time grants for deferred maintenance, and $15 million be invested in reaching out to these individuals and coming closer to hitting the governor’s goal of increased college graduations. “The Administration will work to promote affordability, access, and efficiency in higher education. It will also work to ensure higher education and training programs better meet the needs of nontraditional students,” the higher education section of the budget proposal said. 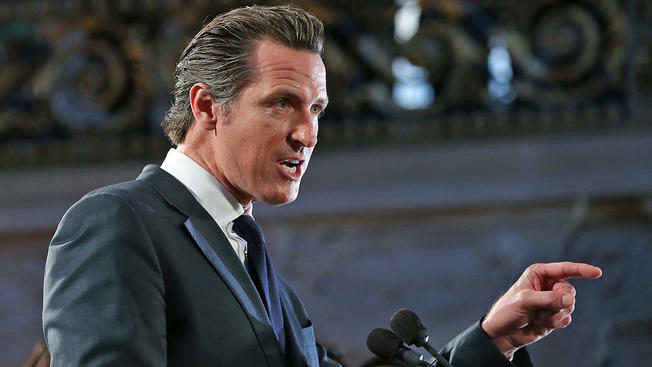 Of the boasted 6.9 percent budget increase compared to that of last year going toward funding of the UC system, Newsom quoted $49.9 million to tackle degree completion and further assistance to the number of graduates from disadvantaged backgrounds. This proposal is contingent on the university not raising tuition, however. In his speech delivered on Jan. 10 introducing the budget, Gov. Newsom emphasized the need for the UC system to address its population of “near-completers,” or students with unfinished degrees. Since 2000, Gov. Newsom reported that an estimated 60,000 people dropped out of the university with remaining credits to completion of a bachelor’s degree. As a solution to this issue, he pointed towards bolstering the UC extension program — the continuing education arm of the university — as a potential solution and claimed that is underutilized and should be further explored as a more flexible and less time-consuming educational facility. A range of political and academic institutions have come forward, advocating for and against the budget’s behalf. Brianna Brawley, president of the UCSD College Democrats spoke out in approval of the budget’s objectives. “Governor Gavin Newsom’s budget absolutely represents a new era of California spending … in which the priorities of higher education and the struggles of California students across the three levels of California campuses are being recognized and fought for,” Brawley told the UCSD Guardian. The UCSD College Republicans spoke out in disapproval on issues of government promotion of furthering student graduations. In a press release, UC President Janet Napolitano and UC Board of Regents Chair George Kieffer issued a joint statement praising the budget’s continued dedication toward furthering the UC system’s goals. “The university looks forward to working with the governor and the Legislature to address our priorities, including the ambitious goal of awarding 200,000 more degrees by 2030, and to maintain the academic and research excellence of UC,” the press release reads. Newsom intends to pay for many of his new initiatives with an anticipated $21.6 billion in accumulated surplus. The California State Constitution requires the governor to submit a budget proposal by Jan. 10. The budget typically is then redrafted several times over the course of budget negotiations before finally being approved as a bill in the legislature, which must happen before June 15.